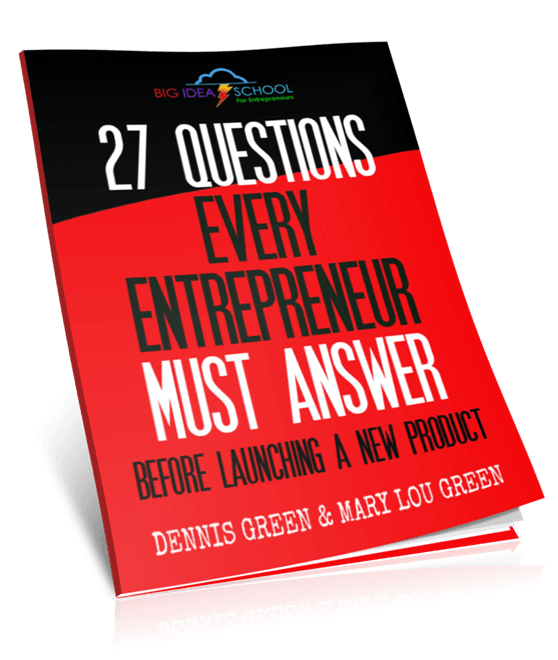 Go to your email inbox and find the message sent by Mary Lou At Big Idea School, with the subject line 27 Questions Every Entrepreneur Must Answer Before Launching a New Consumer Product. This email contains a short message and a confirmation link that will take you to a page where you can download the FREE PDF. Click on that link. After you click the confirmation link, you will receive a final email containing the link to a page where you can download the 27 Questions.